Reem is currently working with classical and jazz pianist Bruno Heinen on a special duo project, with a view to production of an album. The project includes compositions by Reem and Bruno, plus new arrangements of Arabic and Western Jazz songs. ... is a collective of singers and songwriters, with Reem performing alongside the likes of Frankie Armstrong, Roy Bailey, Robb Johnson, Sandra Kerr, Grace Petrie, Leon Rosselson, Janet Russell, Peggy Seeger, Jim Woodland plus one (there is only one) socialist magician, Ian Saville. Reem has performed together with Kardes Turkuler in a number of major concerts, including at TIM Maslak in April 2014 and at the Turkcell Kuru�esme Arena, Istanbul, in June 2009. Vox Holloway commissioned Reem, together with librettist Justin Butcher and Composer-in-Residence Harvey Brough, to produce a new work that would combine traditional Palestinian songs with new musical settings of modern poems and literature, telling the Palestinian story through an observation of its hardships as well as a celebration of its culture and history. The resulting work, Cry Palestine, combines new songs with fresh arrangements of songs from Reem's acclaimed 2006 debut CD, Sprinting Gazelle: Palestinian Songs from the Motherland and the Diaspora. For further details, go to:Vox Holloway. Cry Palestine received its international debut at St Lukes Holloway, London, on Sunday 1 December 2013. The proceeds from the performance were donated to Hand in Hand for Syria. A special album of songs written by Garth Hewitt, and performed by different artists, it was conceived as a tribute to mark Amos Trust's 25th birthday. "Garth has never spurned what many might consider unfashionable causes. For me to have the chance to record Oh Palestine was my way to repay Garth for his unconditional love and support, for me personally and for Palestine". 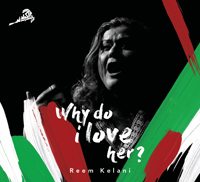 Reem Kelani, 2011. 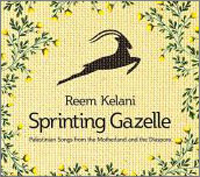 To listen to Reem singing "Oh Palestine", click here. Sir Cliff Richard, who has previously covered a couple of his songs, said of Garth, "For forty years his music and ministry have fearlessly focussed on issues of injustice and poverty, and have challenged and influenced a generation. It has been my privilege to share a stage and a recording studio with this exceptional, gifted and devoted servant of God." 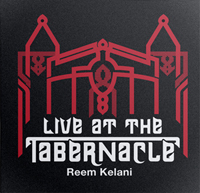 Reem performed a special set at the Babylon, Istanbul, alongside the legendary Turkish clarinettist, Selim Sesler, and other Turkish musicians, November 2008. 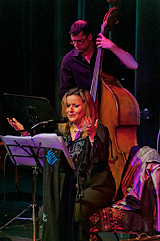 With Fado singer Liana, Reem explored the historical links between Arabic and Fado music. Funded by the Calouste Gulbenkian Foundation & Visiting Arts, the project had its world premiere at the Musicport Festival, Bridlington, October 2008. Working with Gaelic singer, Catriona Watt, Reem produced and performed a new arrangement of traditional Gaelic and Palestinian songs for A� Gharaids, a series of programmes looking at the state of Gaelic music which was made for BBC Alba, the Gaelic television channel, May 2008. A� Gharaids was nominated for the Media Award in the MG ALBA Traditional Music Awards 2009. 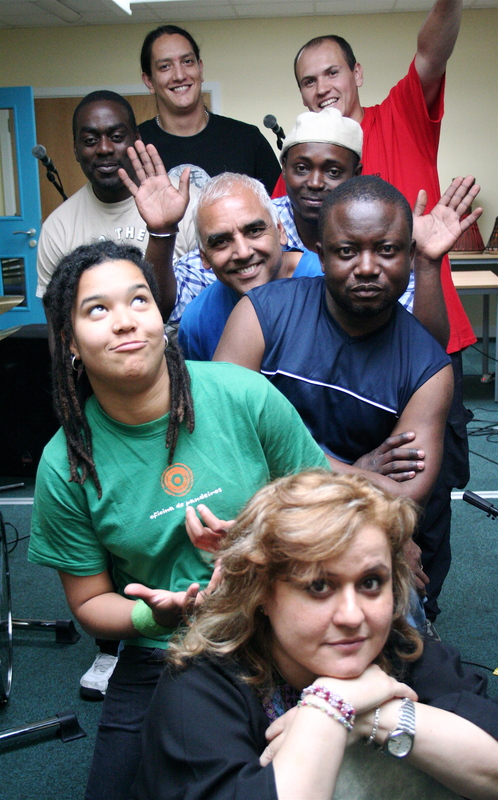 A special commission from the Manchester International Festival, Reem composed "Paradise in Strangers", and rehearsed and performed it at the festival with the BWO, comprising refugee musicians, on 8 July 2007. This composition encompasses melodic modes and rhythmic patterns from the wide diversity of origins of the orchestra members. Very much like the motions of a dhow boat, this work will take you on a journey across oceans and between continents, in which migration, suffering, parting, reunion and celebration are recurrent as well as universal themes. 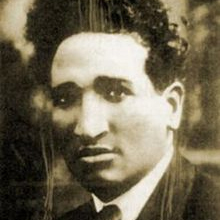 The work also features poetry and prose written by Reem and members of the orchestra. Together with poetic texts by Robert Burns (A Slave's Lament) and Salma Khadra Jayyusi (Rootless), the group has created a textual template for a narrative structured around the historic pain of slavery and the collective yearning of rootlessness. "The true test of the music is whether the detail - provided by, among others, second-generation British Pakistani tabla player Azhar Nasir, Chinese opera singer Haili Heaton, Iranian tar player Arrash Fayyazi, drummer Pat Mackela from the Congo, singer Emmanuela Machozi Yogolelo (ditto) - adds up to a coherent artistic statement. The danger is that it curdles in a formless multicultural pudding.